Justin Webb was born in Tacoma, Washington and moved to Idaho at a young age, so considers Boise his hometown. Justin has always been in the industry of serving people. 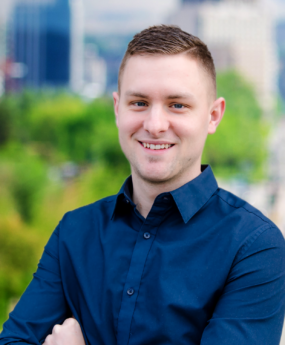 From coaching collegiate track and field, to sales and finally finding his true passion as a Real Estate agent with City of Trees Real Estate. “My clients’ lifelong memories begin in the home, and the joy of my job comes from helping them find that perfect place to call home.” With his heart for serving people, Justin always maintains the best client experience from truly understanding the needs of his clients, to always putting his clients’ interests first.